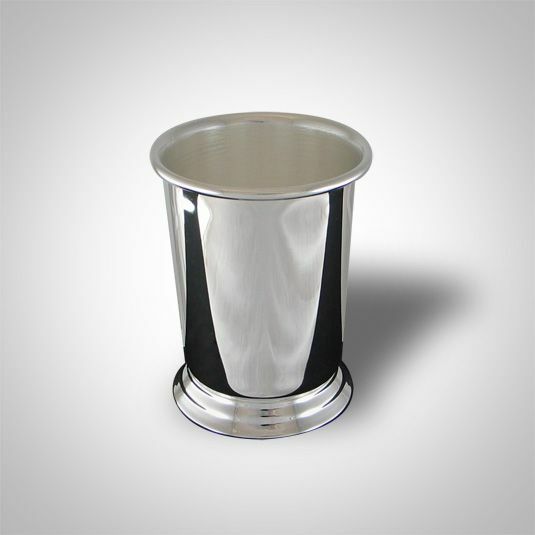 This Sheridan silver plate mint julep cup features a classic design with a pedestal base. Approved for drinking use, this cup will be a wonderful addition to any bar collection. The uses for this classic cup go beyond drinking. Mint julep cups are wonderful centerpieces for tables when filled with small floral arrangements. They also make wonderful awards, especially when engraved. Mint julep cups are often seen on desks as well filled with either pens and pencils or small treats. One tiny cup, so many possibilites. This cup has a 7 ounce capacity, measures 3-3/8 inches tall with a 2-3/8 inch diameter and comes individually gift boxed. 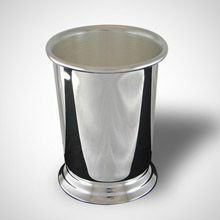 We also carry an 11 ounce silver plate mint julep cup from Sheridan. Have it engraved! Click here for more info. 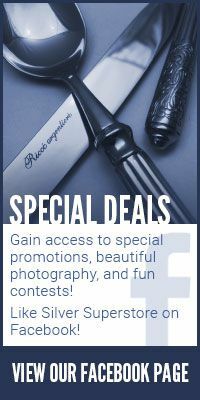 Creative Gifts International, Inc. is a recognized leader in the gift industry as a wholesale importer and distributor. Our products are sold in some of the finest retail stores in the world. 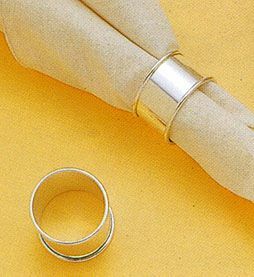 Our products are sold under the Sheridan and Taunton brand names, two of the oldest and most respected names in the silver industry. Creative Gifts International, Inc. started as a silver plated giftware company but over the years we have expanded our assortment to include non-tarnish metal, crystal, leather, glass and wood items.